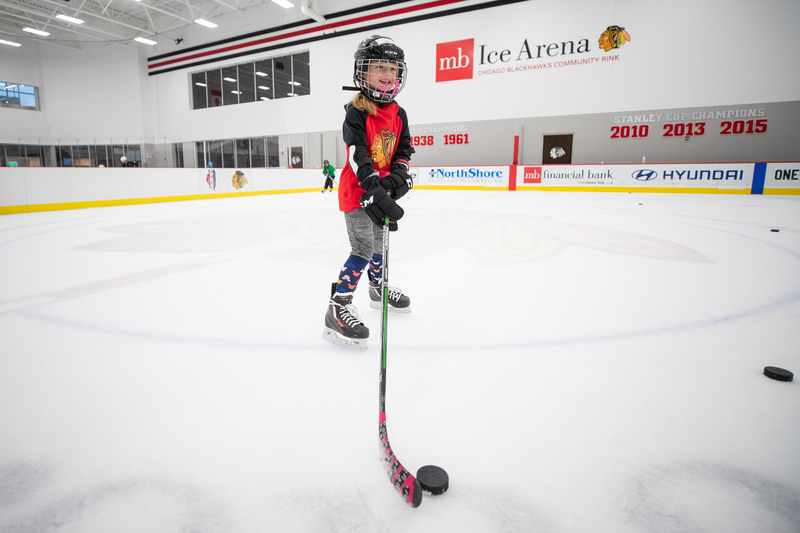 The Chicago Blackhawks and MB Ice Arena are teaming up to host the MB Ice Arena Girls Hockey Experience. Package includes a pregame event at MB Ice Arena, a meet and greet with some very special guests, an exclusive winter hat, admission to the game and in-game recognition. Tickets are $85 and can be purchased by clicking HERE. Please make sure the MB Ice Arena waiver is signed by all attendees before event. Please note, there are a limited number of tickets available. Questions? Contact Mary DeBartolo at mdebartolo@chicagoblackhawks.com or Laura Jordan at ljordan@chicagoblackhawks.com. We hope to see you on October 28th!